Fate/Extella Link released in Japan today, and with it came some costume DLC. Costume DLC that makes the main game all the more worthwhile. We are, of course, talking about swimsuits. Related reading: Our review of the original Fate/Extella on the Nintendo Switch. 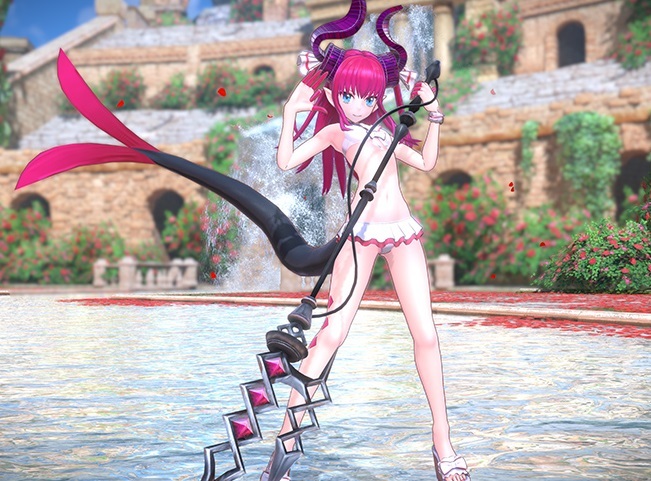 The swimsuit DLC is being released in two waves, with the first wave available now (in Japan) for 1,840 yen (about $20), and the second set releasing on June 14 for 2,080 yen (about $23 or so). Over here in the west we have to wait until Fall (Spring for those of us in Australia and New Zealand) to get our hands on it, but at least we've got a new trailer showing off all the bikini bods from the first wave to whet the appetite. The other reason to get the game is the fact that the first was the best Warriors-like game that wasn't made by Koei Tecmo. That's a good reason to get excited about the sequel too. But now we have swimsuits!